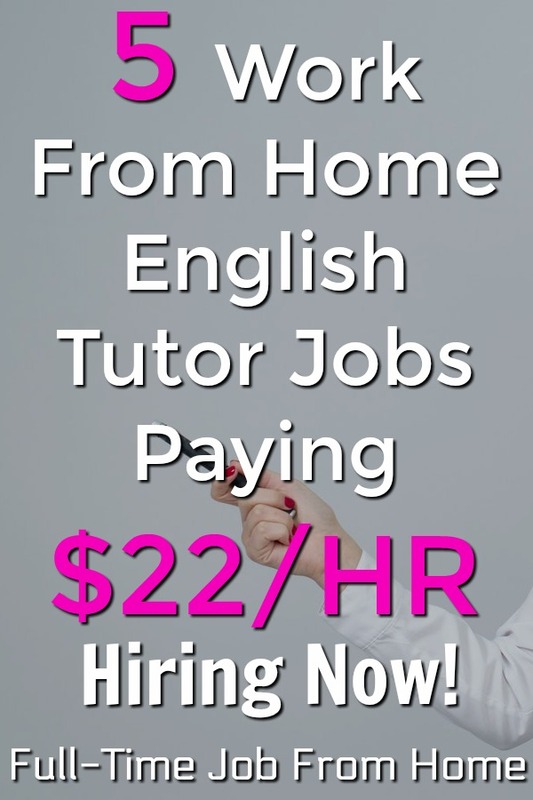 One of the most popular work from home jobs that really took off last year is English Second Langauge tutoring. It hasn’t stopped early in 2019 either and new high paying part-time work from home jobs in the niche are popping up left and right. On this page, I’m going to cover five of the proven ESL tutoring companies out there. The requirements all differ so I’ll cover those briefly on this page, but feel free to read my full reviews to learn more. If you land one of these tutoring jobs, you can make up to $22 an hour in a part-time position. Before we get in the list, all of these tutoring positions will require you to have a webcam and or headset. Most will allow built-in webcams but know that you will need one or the other before you can complete the application process. Let’s get started with this list of 5 high paying English tutoring jobs! VIPKid is probably the most popular ESL company out there and was one of the first companies that I found and reviewed here at Full-Time Job From Home. They have a 4.3 out of 5 rating on Glassdoor and are listed as one of the best 100 remote companies to work for! VIPKid advertises their teachers making up to $22 an hour and have lessened their requirements for teachers over the last few years. At this time you need to be from the US or CA, Fluent in English, have any 4 Year Bachelor’s degree, and 1 year of teaching or tutoring experience. If you can meet the requirements visit VIPKid.com to apply or read my full VIPKid Review to learn more! Hawo formerly known as 51 talk is another ESL company that pays up to $22 per hour to their tutors. They have a 3.5 rating out of 5 on Glassdoor! Hawo pay is up to $18 an hour with the opportunity to earn up to $22 in bonuses! To apply at Hawo you need to be a native English speaker, have a 4-year degree, and have experience teaching children 4-12 years old. They say having a teaching certificate or a degree in a teaching field is not required but preferred. If you’re interested in the tutoring position, visit Hawo.com to apply or read my full Hawo Review to learn more! QKids is another ESL Company that seemed to pop up in the last few years but still has very good feedback from new teachers. At Glassdoor, they have a rating of 4.3 out of 5! QKids is the only site on this list that pays you for the demo lessons you complete during the application process! To apply at QKids, you’ll need a 4-year degree or be enrolled at a University and be located in the US, UK or mainland China. QKids pays $16 an hour with an opportunity to earn up to $20 an hour in performance bonuses. If you can meet the requirements, visit QKids.com to apply or visit my Full QKids Review to learn more! Education First is another new ESL company that is US based and has a US-based support team, which they make clear is a big advantage that they have over other ESL companies. On Glassdoor, they have a 3.5 rating out of 5, and there’re several positive reviews from current tutors. Education First states that teachers can make anywhere from $13-$19 an hour based on your qualifications when you apply. To apply to Education First you need a Bachelor’s Degree in any field and have completed at least a 40-hour TEFL certification. If Education First sounds like a great position to you, visit EducationFirst.com to apply or learn more at my Full Education First Review. DaDaABC is another high paying ESL option with good reviews. On Glassdoor, they have a rating of 3.3 out of 5. DaDaABC tutors can make up to $25 an hour based on your experience and qualifications. Pay will be decided at the time of hiring you and will be locked in for a 12-month contract. To apply to tutor, you’ll need a bachelor’s degree and be a native English speaker. If this sounds like you, you can visit DaDaABC.com to apply or read my full DaDaABC Review to learn more! I hope you enjoyed this list of high paying ESL tutoring companies. English tutoring is continuing to grow so it looks like a position that will continue to grow as time goes on. All the companies listed above are great options to get involved in the trend. If you have any questions or experience with the tutoring sites on this list please let me know in the comments below. If you don’t think ESL tutoring is right for, make sure to check out these other ways to make money online! Do you know of any other legitimate work from home tutoring jobs? Please let me know about them in the comments below!